Symposium is proud to announce that we’ve been chosen by Hartsdale Fire Department to deliver a new CAD and Web-based Event Monitoring system, including full two-way integration with the department’s existing FIREHOUSE® RMS. Hartsdale is located near the Hudson River in New York’s Westchester County just 20 miles north of New York City, and is bordered by Scarsdale and White Plains. 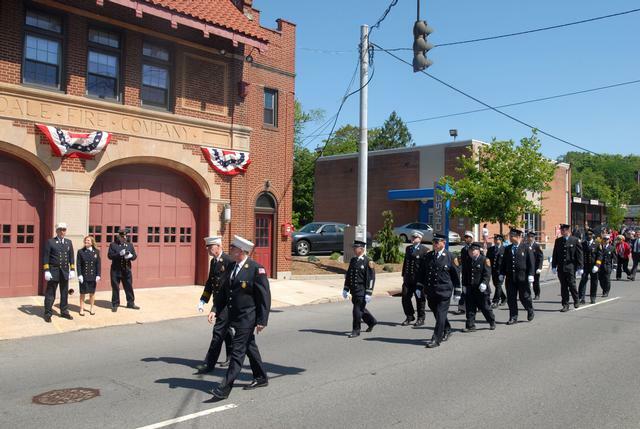 An historic town with connections to the revolutionary war, Hartsdale today is a thriving and prosperous community, served by a combination fire department with a roster of 37 career and 17 volunteer members. Hartsdale Fire has a well-deserved reputation as a forward-looking and innovative department with a strong tradition of service. Now, in the 21st century, Hartsdale FD will be using the latest technologies to deliver an even higher level of safety and protection to the town and surrounding communities. Hartsdale Fire had long been considering an upgrade to their dispatch technology, but like many similar departments, had been frustrated by how most of the current systems were designed primarily for Police. Furthermore, even fewer systems integrated the functionality required to efficiently meet the needs of combination departments, which make up over a quarter of US fire services. To find out more about how Symposium can help your department respond faster, safer and more effectively, please feel free to contact us at info@symposiumtechnologies.com.